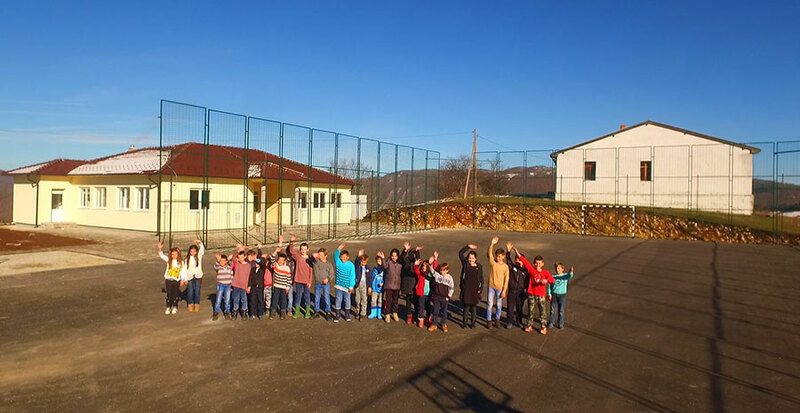 Thanks to funding provided by the European Union and the Government of Switzerland through the European PROGRES programme, a new 200-square metre school building and various sports courts have been constructed for pupils of the four-year elementary school in the village of Zapadni Mojstir, the Municipality of Tutin. “With this new school building, pupils and teachers have an additional motive to study and teach as the newly built facility creates appropriate educational conditions. Within the facility there is a pre-school class and a clinic that will prevent people from leaving the village,“ said Jusuf Demic, Principal of the Aleksa Djilas Beco elementary, recalling the dire state of the former building with worn out floors and carpentry and the plaster falling off from the ceiling. As he put it, adjacent to the school building there are volleyball, football and basketball courts that mean a world to 25 pupils of the school. The local self-government is also working towards breathing a new life into the village by constructing a road to Zapadni Mojstir. “The Municipality of Tutin is putting in efforts to make the living conditions of people in remote areas equal to those of inhabitants of the more central parts of the municipality. By improving education in rural areas, supporting a balanced development of the entire municipality and carrying out other activities in cooperation with the European PROGRES programme, the Municipality of Tutin is making its own modest contribution to the process of European integration of Serbia,“ said Kenan Hot, President of the Municipality of Tutin. Stressing the importance of donor support, amounting to EUR83,000, and the local self-government’s contribution of EUR73,800, Bahtir Hamidovic of Tutin’s Urban Planning and Local Economic Development Department said that local people were the ones to spark the initiative for the construction of a new school building because, as he put it, for them, it is not a mere building, but a place that brings the local community together. Through the European PROGRES programme, the EU and the Swiss Government have invested nearly EUR2 million in improving educational conditions in 34 under-developed municipalities in southeast and southwest of the country, thus making a long-term contribution to their social and economic development. 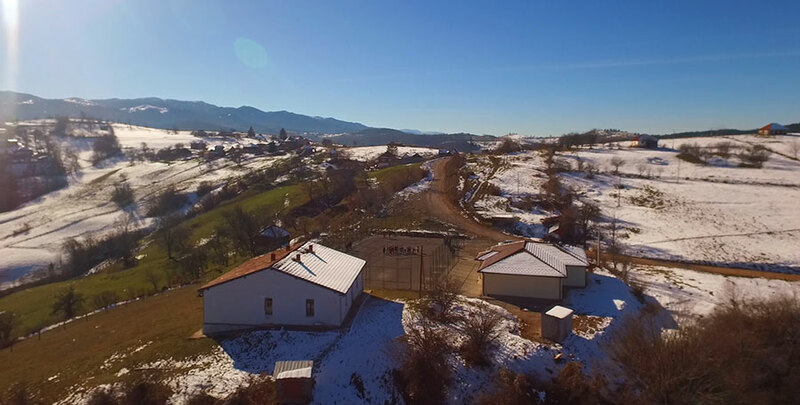 Apart from the new school building in Tutin, another five schools have been renovated (in Bela Palanka, Blace, Crna Trava, Leskovac and Kursumlija) with a view to creating equal educational conditions for all children, regardless of the area they live in.